MONTHLY photos contributed by our members for May - 2018. Present with the two Sanderlings on the 7th was this immaculate Ruddy Turnstone. 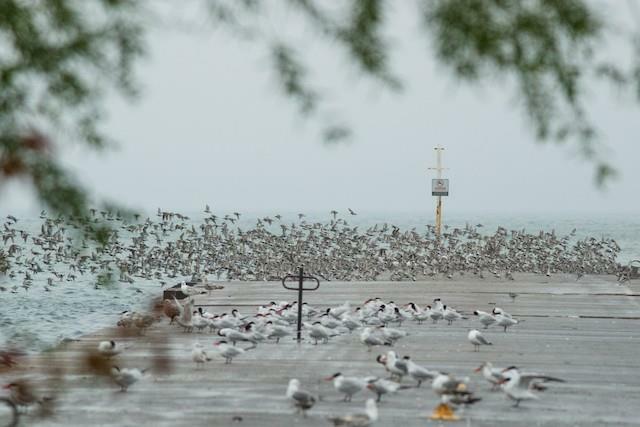 The birds were seen along Dunkirk Harbor's Main St. beach. Photo by Alex Shipherd. 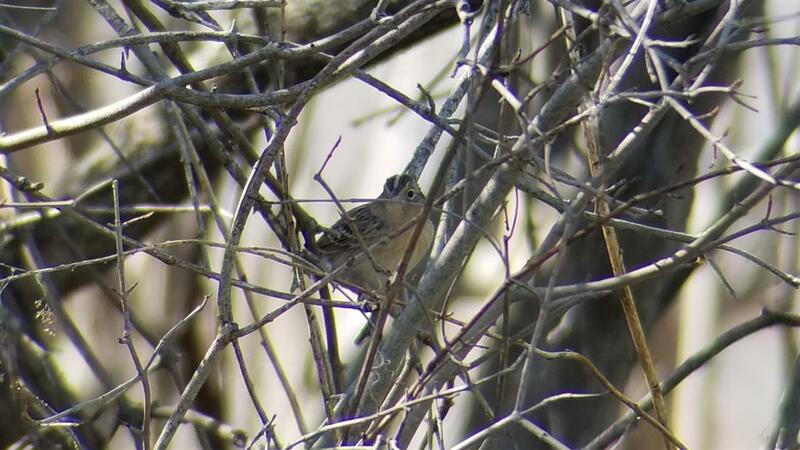 Tom Kerr hits a home run with this Grasshopper Sparrow on the first at Buckhorn Island SP. 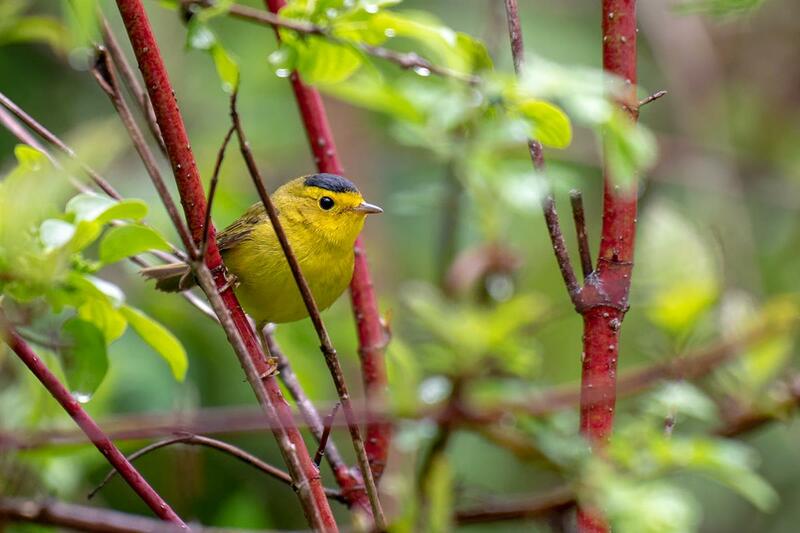 This species is rarely detected during migration and this is a first record for the park! 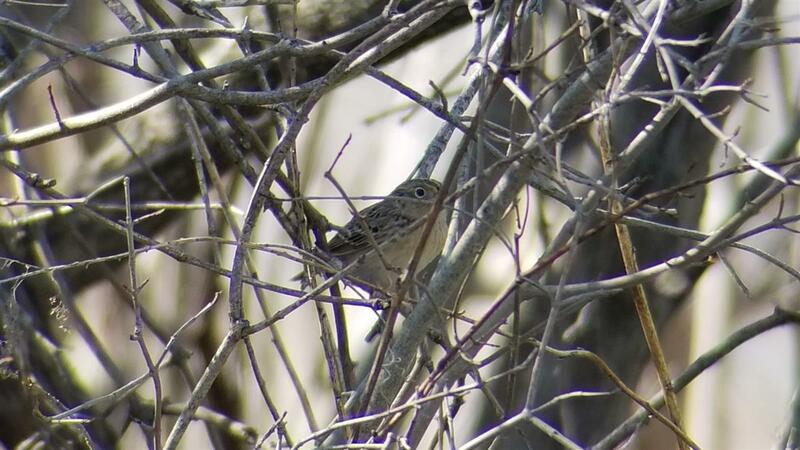 Another view of the Buckhorn SP Grasshopper Sparrow by Kerr on the 1st. It was feeding in the lawn by the Woods Creek parking lot. Fantastic find for a species rarely encountered during migration. 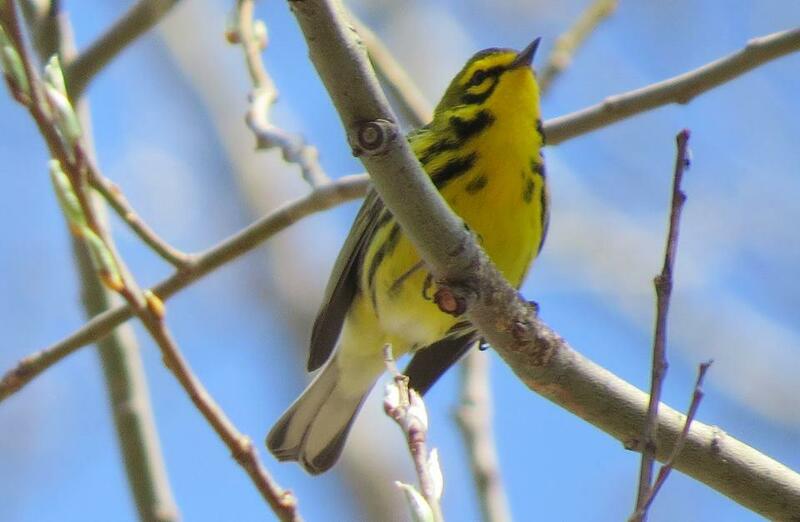 On May 5, the team of N. Johnson, S. Seidman and J. Ketry found this smashing male Prairie Warbler at Times Beach. The bird entertained many observers throughout the day. Photo by Shelley Seidman. 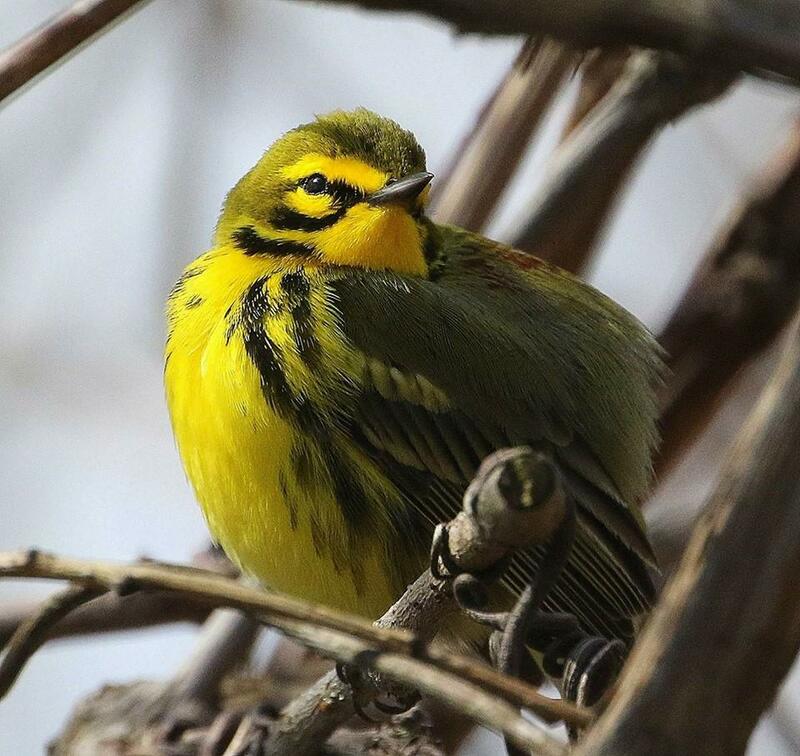 Jerry Anderson captured this alluring image of the May 5 Prairie Warbler found at Times Beach. Although this species breeds in WNY, it is not often seen during migration. 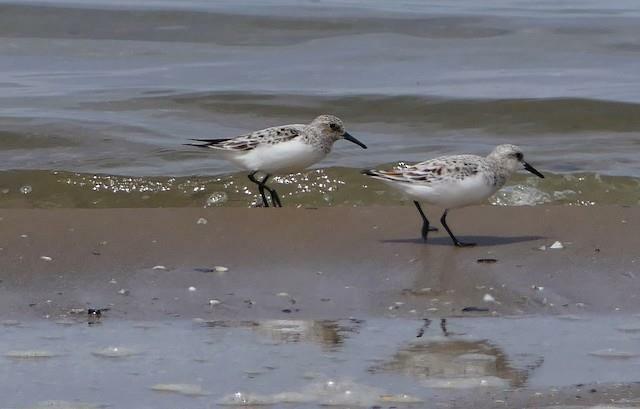 On May 6th, Gale VerHague photographed this pair of Sanderlings at Eagle Bay in Chautaqua County. 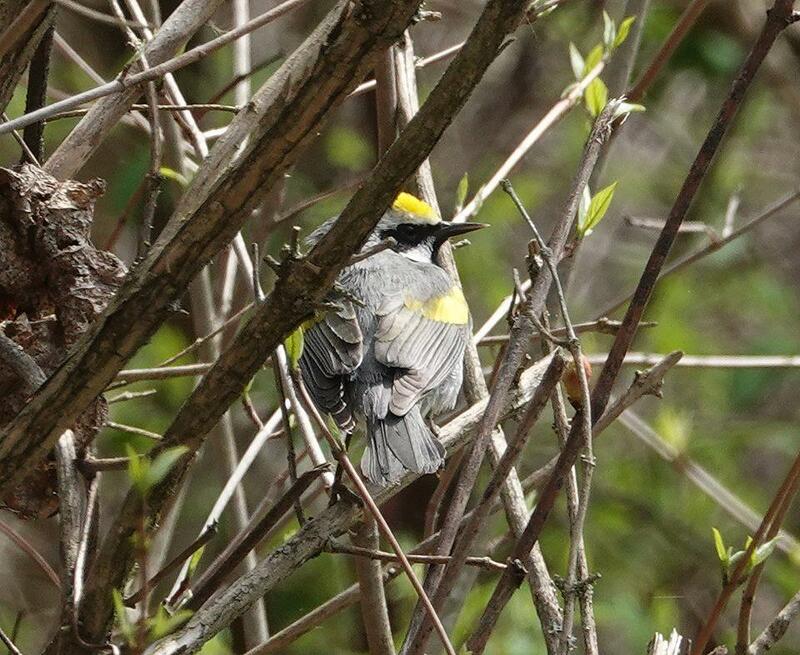 Betsy Potter was lucky to grab this image of a male Golden-winged Warbler on the 6th at Wilson-Tuscarora SP. This declining species passes through in a very narrow window in early May. 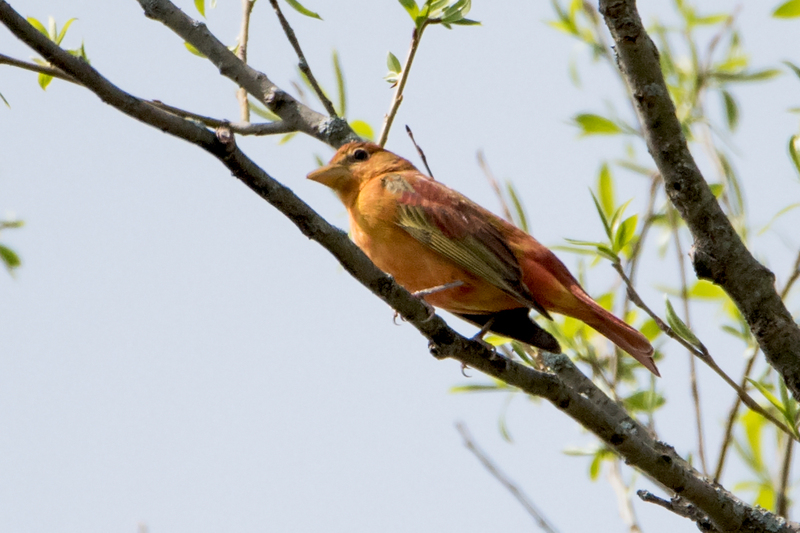 The Bertola brothers kicked the day into high gear when they reported this male Summer Tanager at Birdsong Parklands in Orchard Park on the 6th. Many people were able to see this bird during the remainder of the day! Great job guys! Photo by Sue Barth. 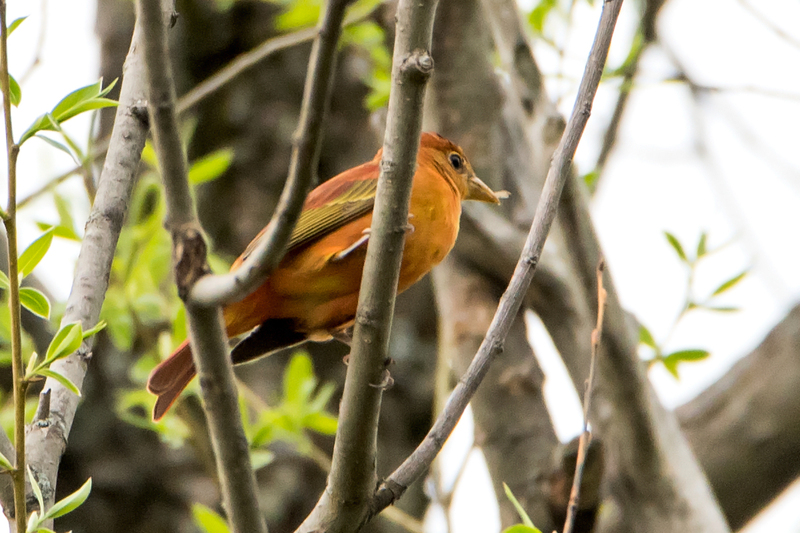 Another view of the Bertola's Summer Tanager on the 6th in Orchard Park. This is a 2nd year male told by the mottled red and greenish plumage. Photo by Sue Barth. 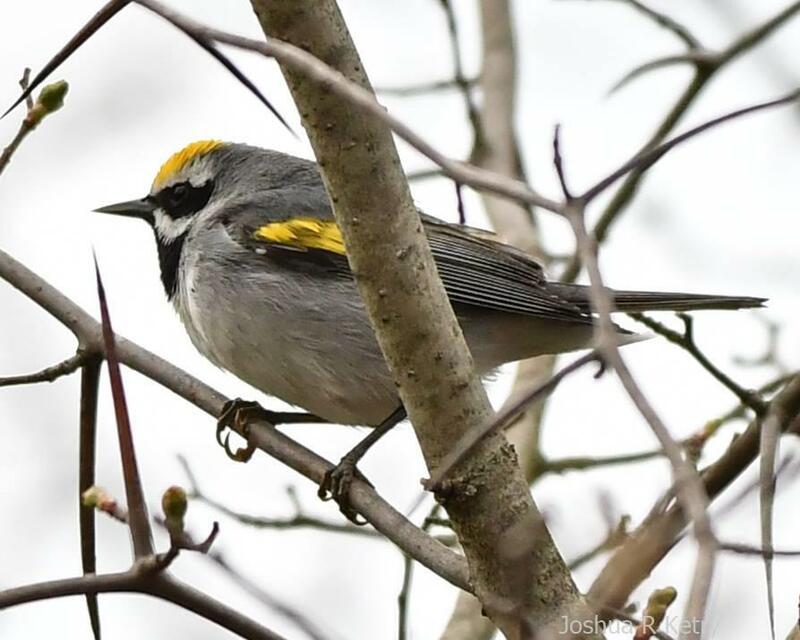 Josh Ketry relocated the Golden-winged Warbler found earlier in the day on the 6th by Betsy Potter and Willie D'anna at Wilson Tuscarora SP. 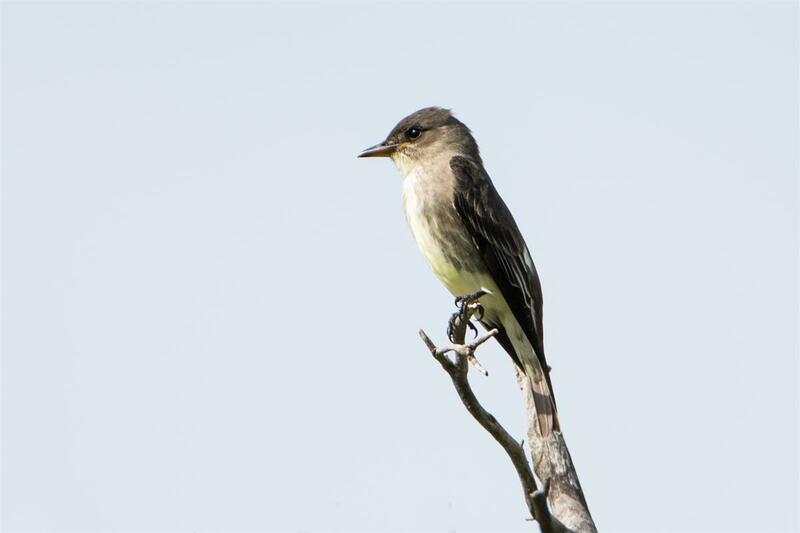 Another of this species was found at Tifft on the same day by Rick Thomas. 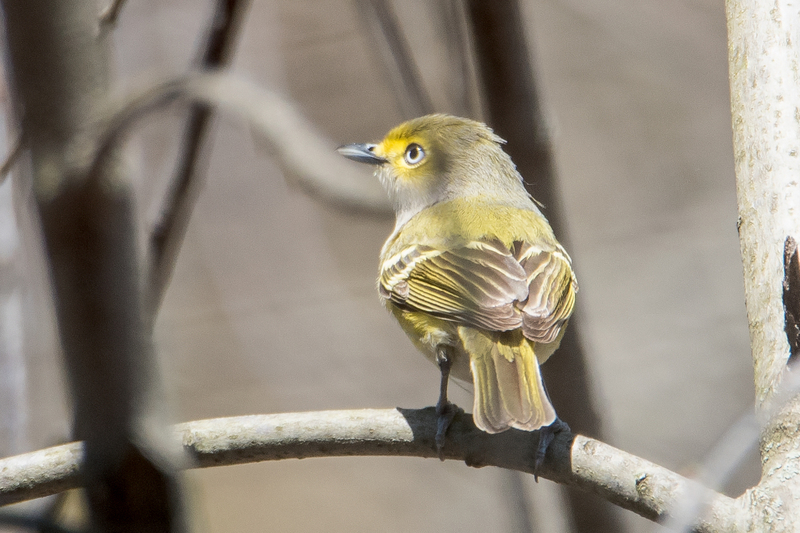 On the morning of the 7th, Kevin Rybczynski heard and located this White-eyed Vireo at Tifft NP. 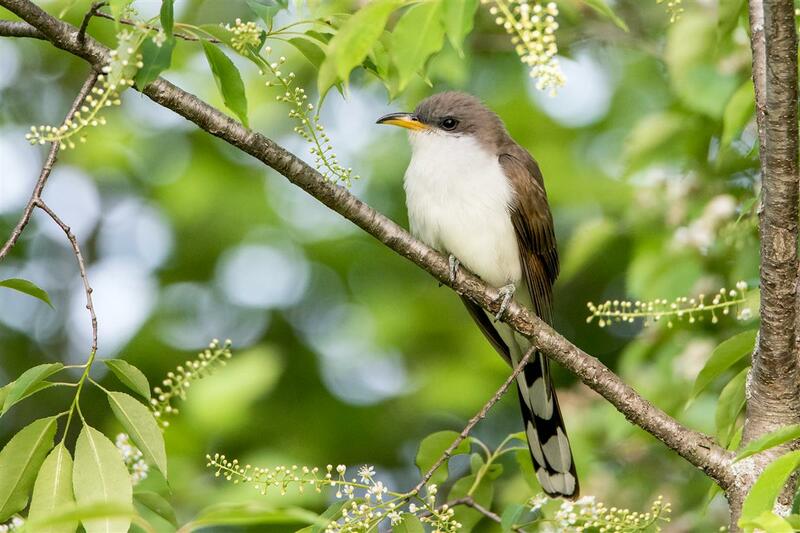 The bird continued singing and delighting birders all day! Photo by Sue Barth. 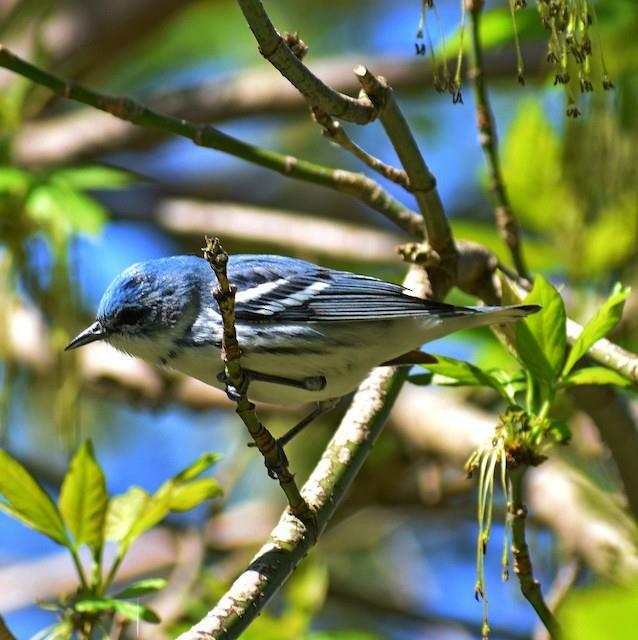 Another gem found on the 7th was this male Cerulean Warbler by Fawn Hoelcle at Prospect Lawn Cemetery in Hamburg. This species is not often seen during migration. 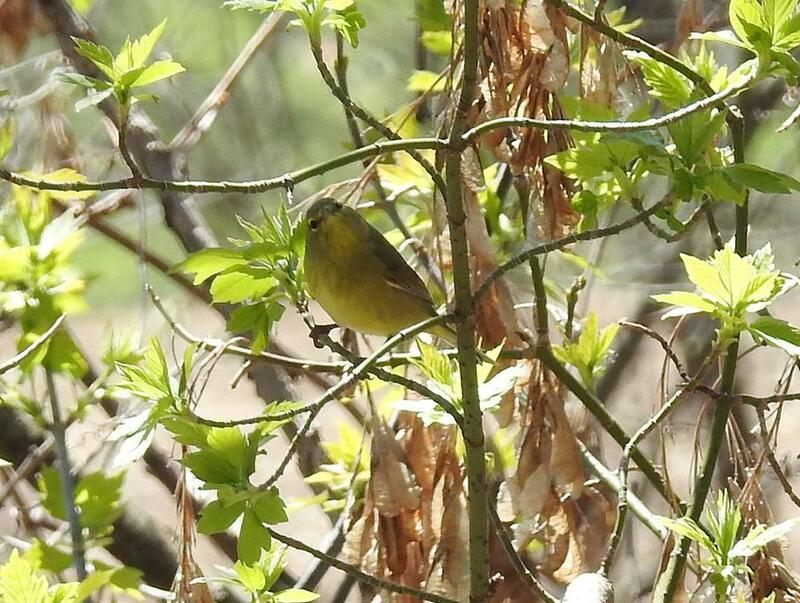 Shelley Seidman strikes again with this Orange-crowned Warbler along Forest Lawn Cemetery's famed Warbler Ridge on the 7th. 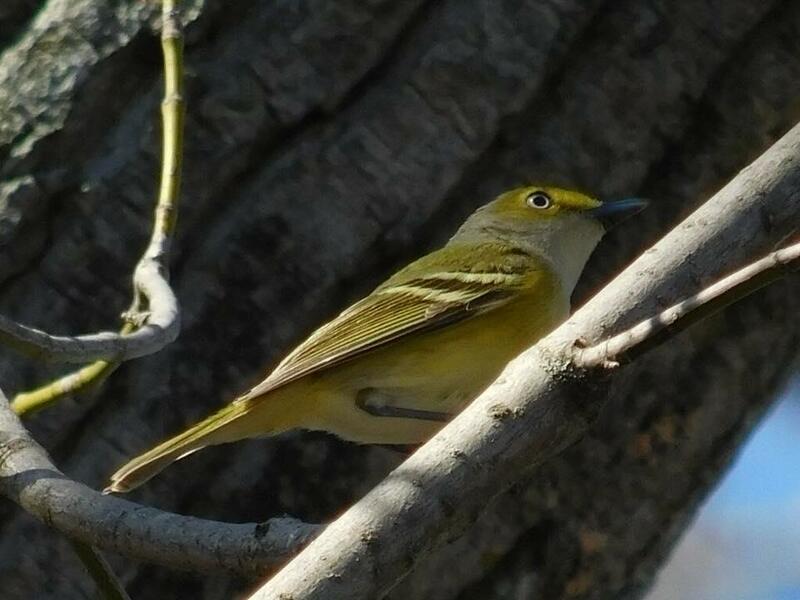 TJ Mudd captured this image of the Tifft NP White-eyed Vireo on the 7th. 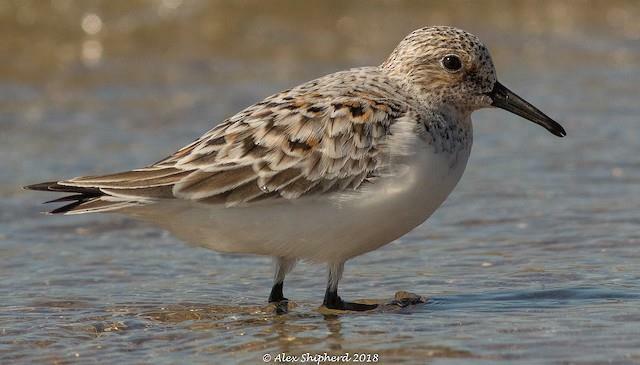 Found by Gale VerHague on the 6th, Alex Shipherd photographed this Sanderling on the 7th at Dunkirk Harbor along the Main Street beach. There were still two present. 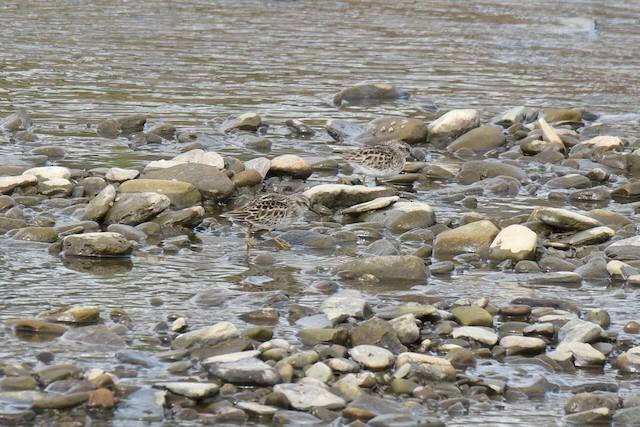 David Crowe found these Least Sandpipers on the 8th at Island Park, Wellsville, Allegany County. Because Shelley Sedman birds Erie Basin Marina almost daily, she turns up an annual list that would be impressive anywhere in the US! 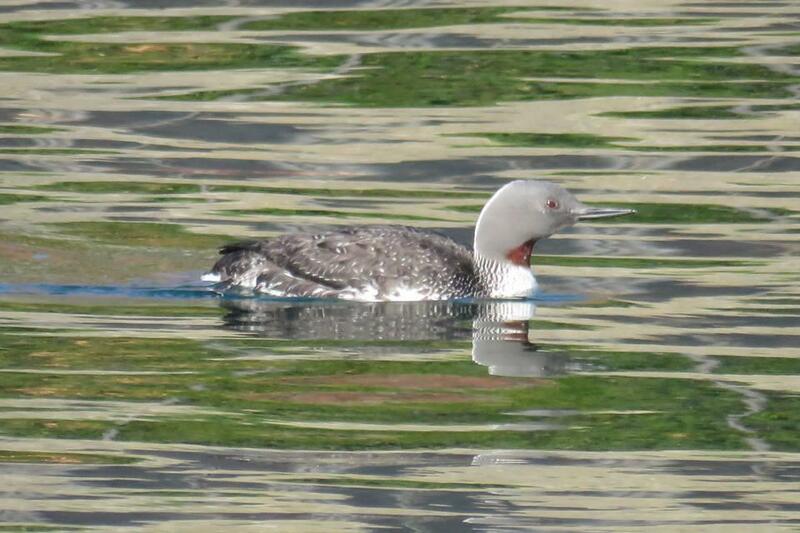 This time she lofted a fabulous Red-throated Loon molting into alternate plumage on the 10th. 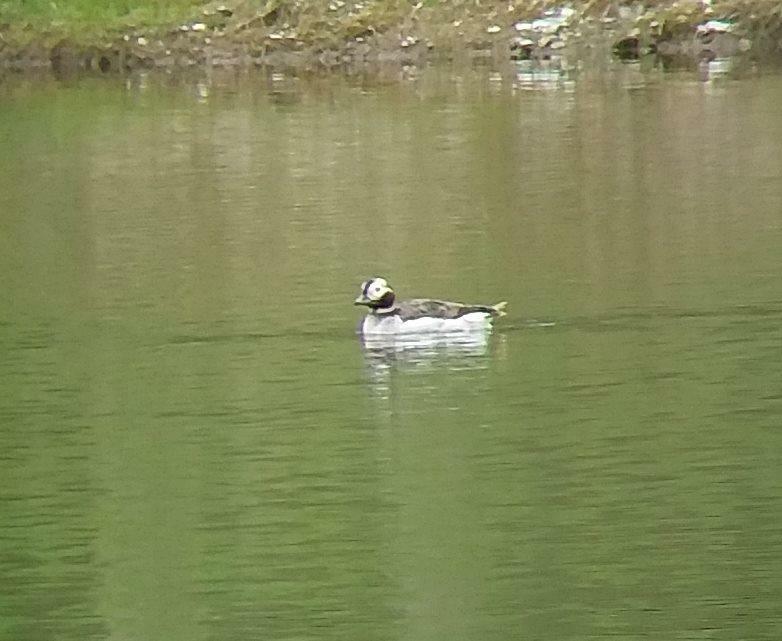 Matt Nusstein found this Long-tailed Duck on the 11th at Evangola SP...Matt's stomping grounds. This species isn't often seen in May. 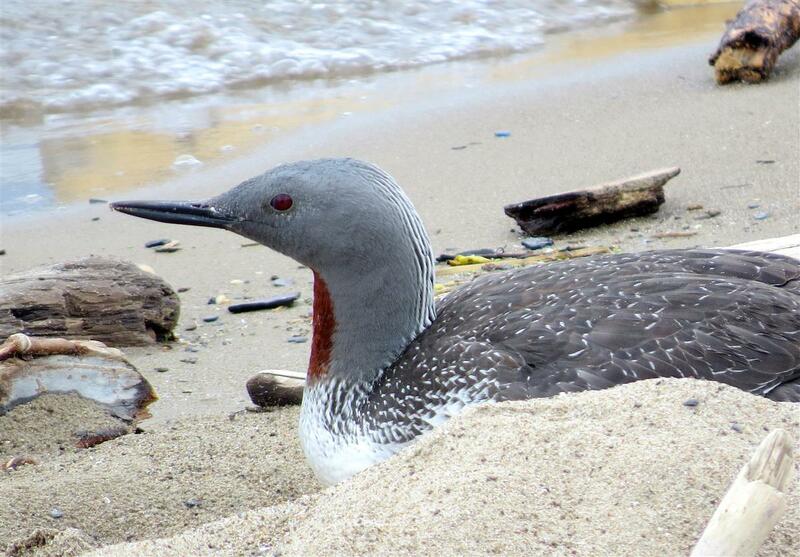 TJ Mudd captured this image of Shelley's Red-throated Loon that continued into the 11th. Many people enjoyed this bird during its stay at Erie Basin Marina. 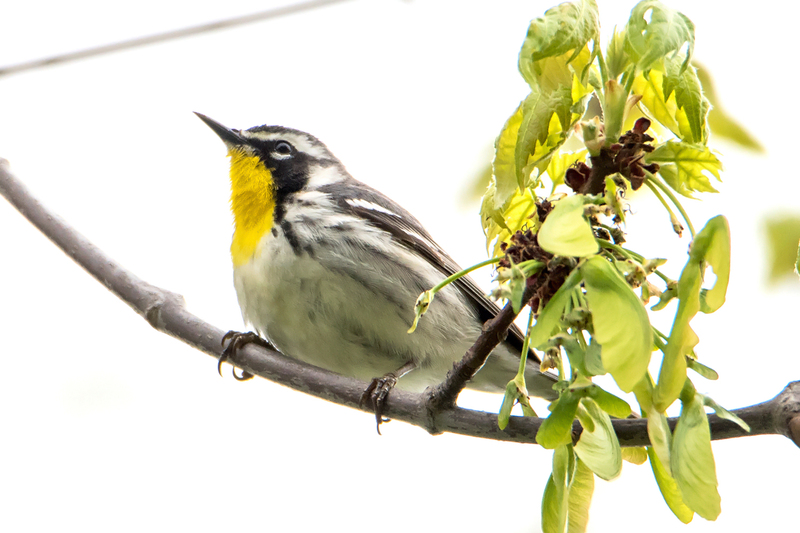 On the 11th, this Yellow-throated Warbler was found by Kevin Rybczynski at Forest Lawn Cemetery. 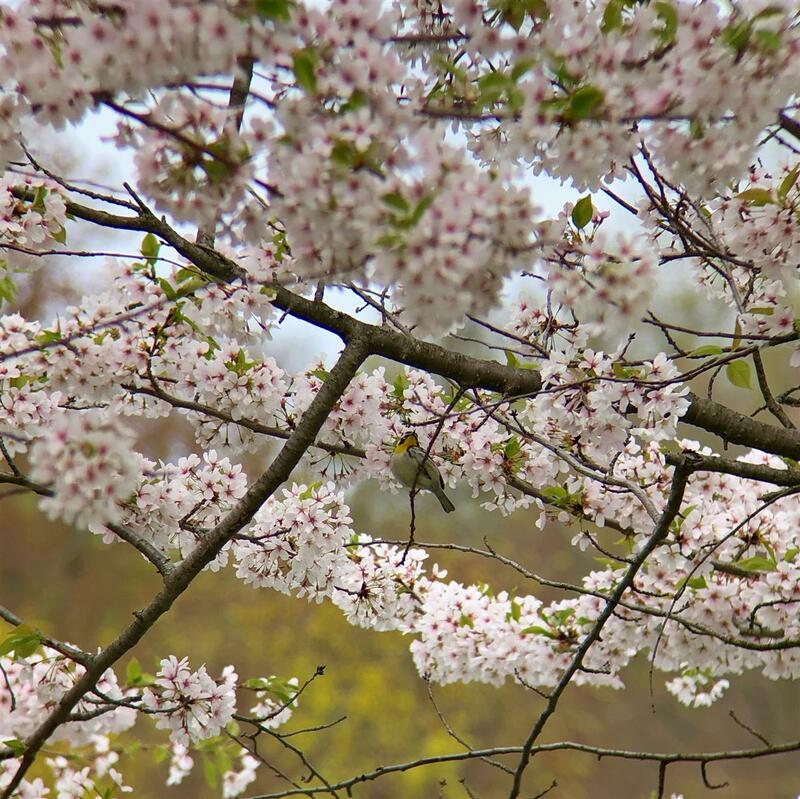 This bird frequented the cherry trees surrounding Mirror Lake as well as the Magic Tree. Interestingly enough, this species has been found at this location in 2012, 2014, 2016 and now, 2018. 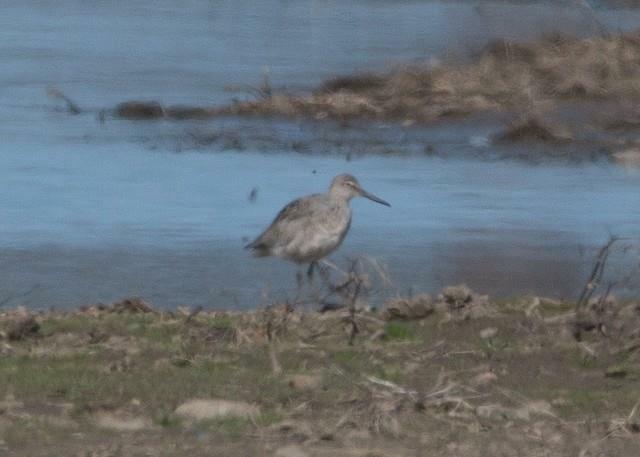 On the 11th, Rachel Wilson and Joel Strong found this Willet in a farm field pond in Niagara County. The pond is at the intersection of Lower Lake and Burgess Rds just west of Golden Hill SP. 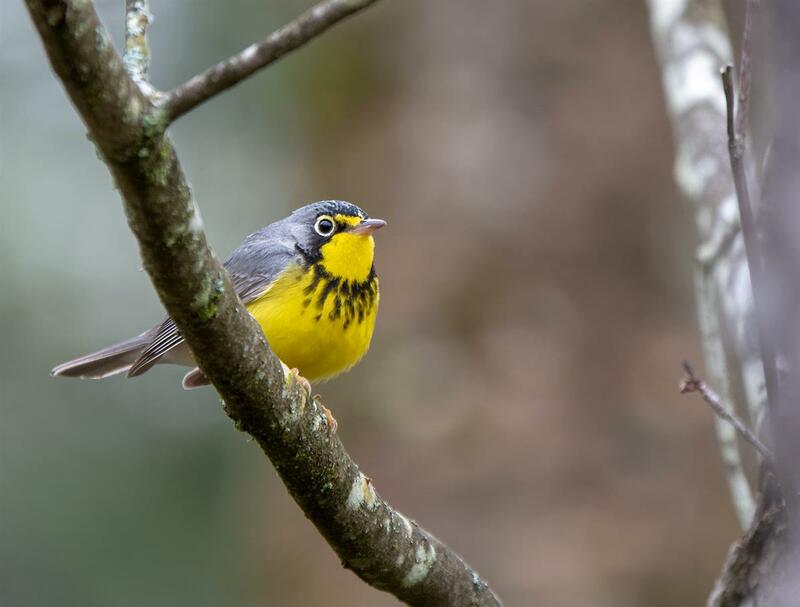 Another view of the Forest Lawn Yellow-throated Warbler (albilora) found by Kevin Rybczynski. Photo by Sue Barth. Seidman's Red-throated Loon continues around Erie Basin Marine through the 14th when this beautiful imaged was captured by Kyle Brock. This plumage is a real treat for us to enjoy! This Wilson's Phalarope was documented by Joel Strong in a farm field puddle at Lower Lake and Burgess Roads, Niagara County on the 15th. 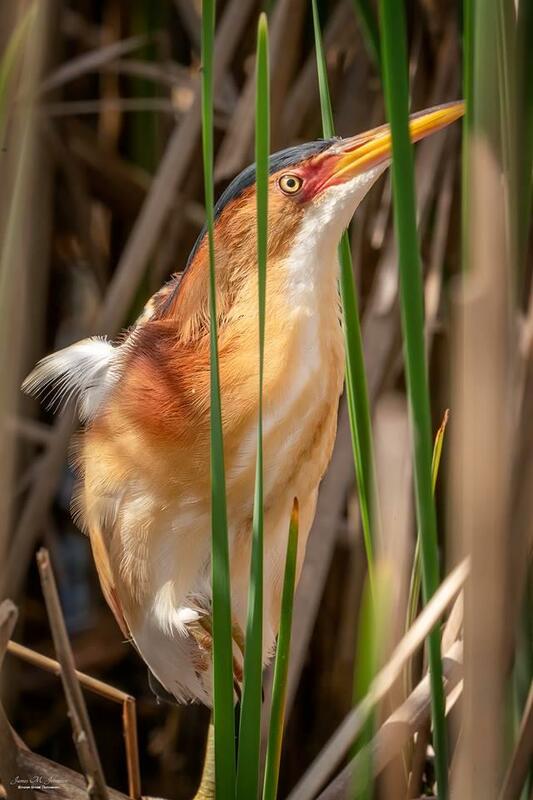 Least Bittern. Tifft. James Johnston. Bam! 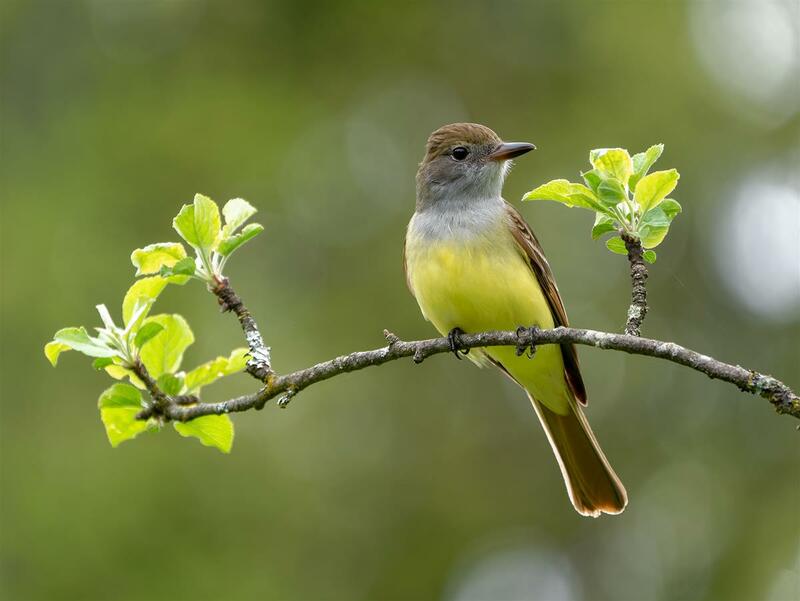 An Olive-sided Flycatcher seen at Chestnut Ridge Park on the 16th. 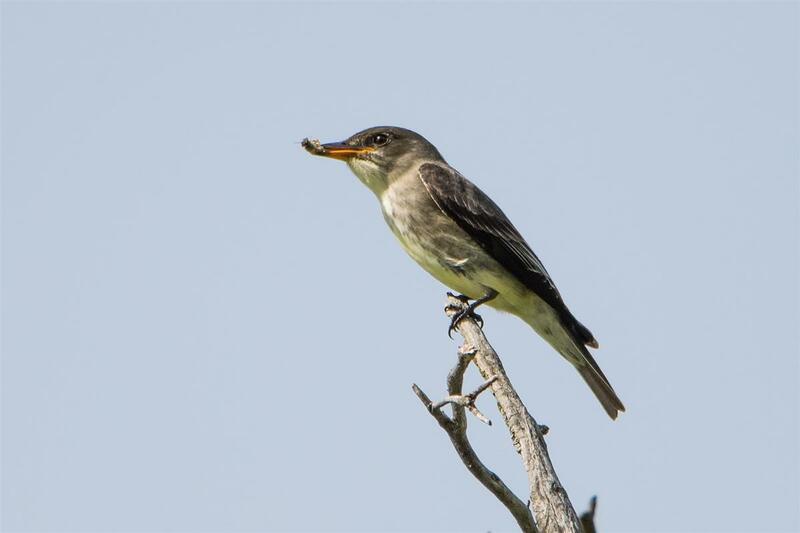 Another view of Olive-sided Flycatcher seen at Chestnut Ridge Park - this time with an insect it just caught. 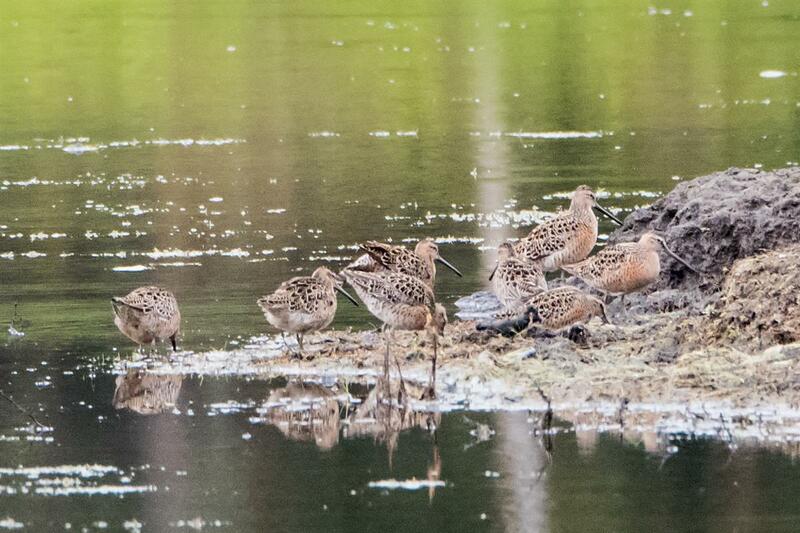 A group of 9 Short-billed Dowitchers dropped into a pond in East Concord on the 15th. 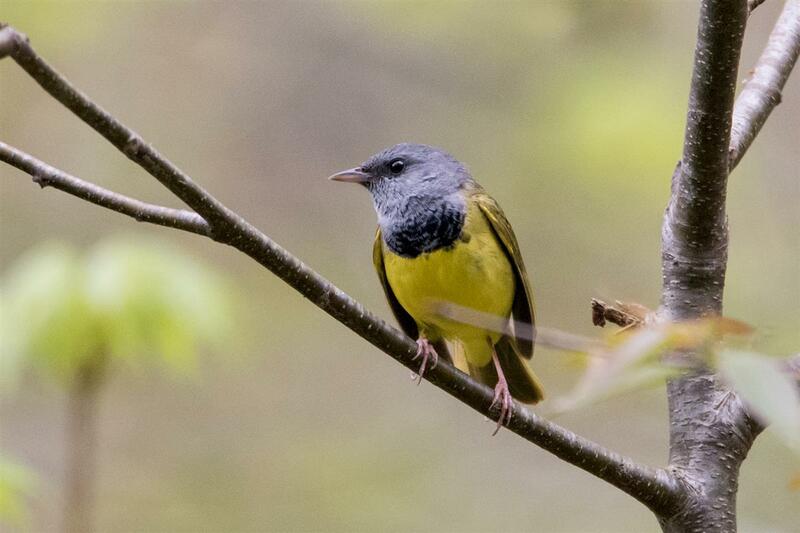 This male Mourning Warbler was singing his heart out and was an easy find down in southern Erie County on the 15th. 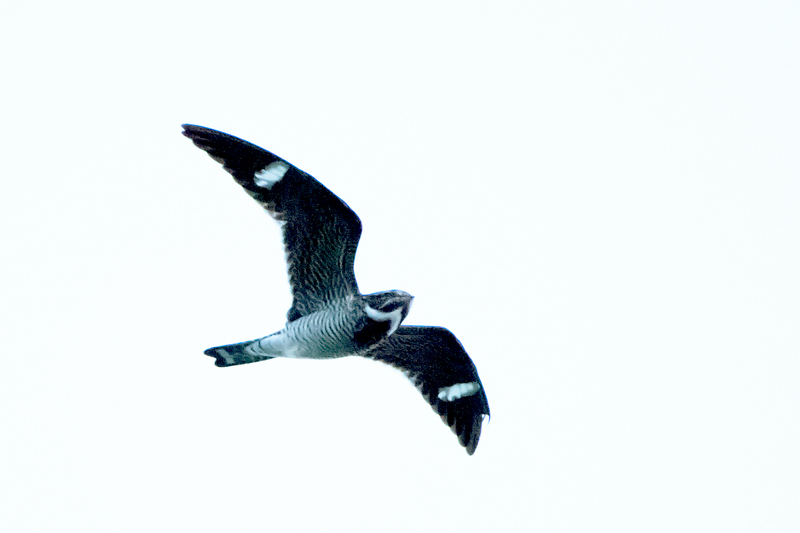 Taken on the 18th, this Common Nighthawk has been seen hawking insects over the ponds at Birdsong Parklands in Orchard Park for several days now. 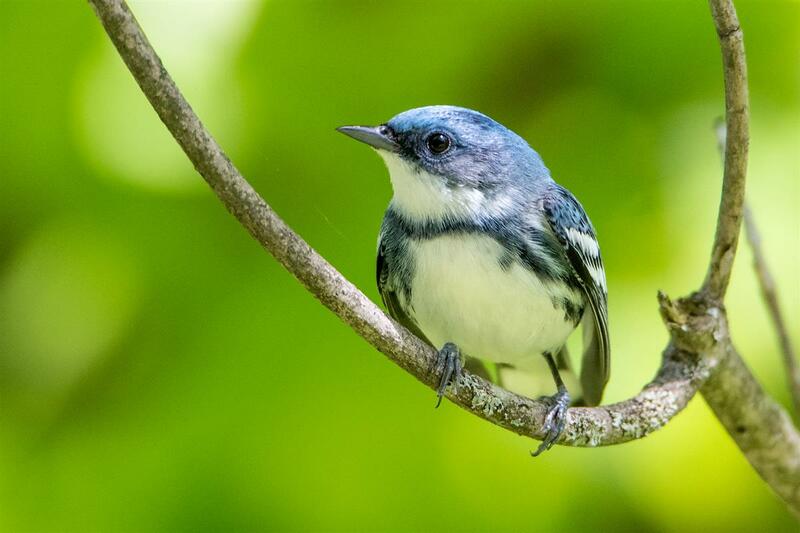 A beautiful male Cerulean Warbler was singing his 'zee zee zee zizizi zeeet' song, making him easy to find on the 21st. 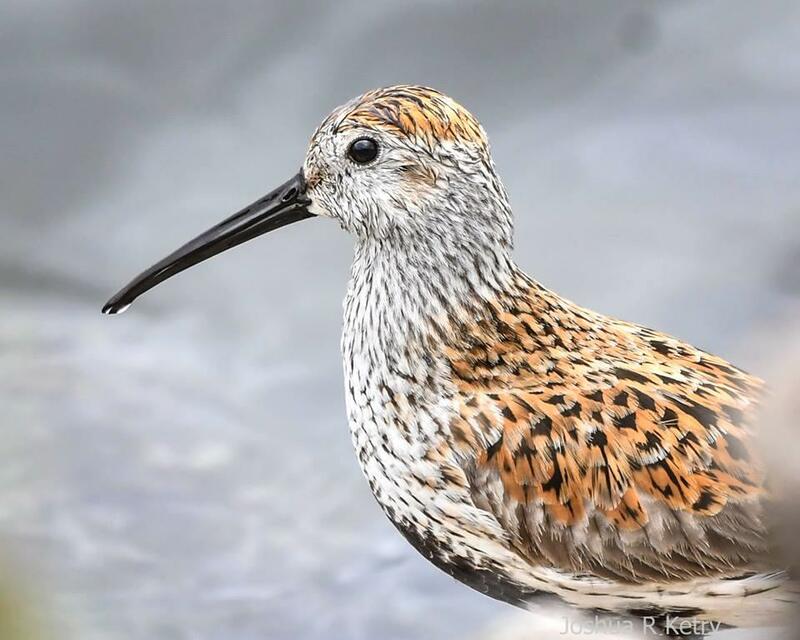 This beautiful Dunlin was found and photographed by Josh Ketry and Batavia WWTP on the 20th. 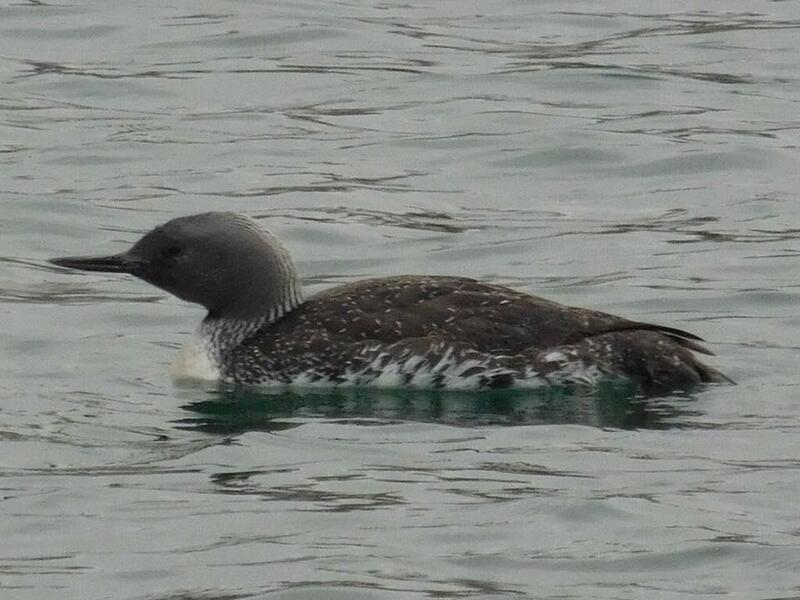 Shelley Seidman took this amazing photo of Erie Basin Marina's long-staying Red-throated Loon on the 18th. This bird occasionally came ashore to rest on the small sand beach. 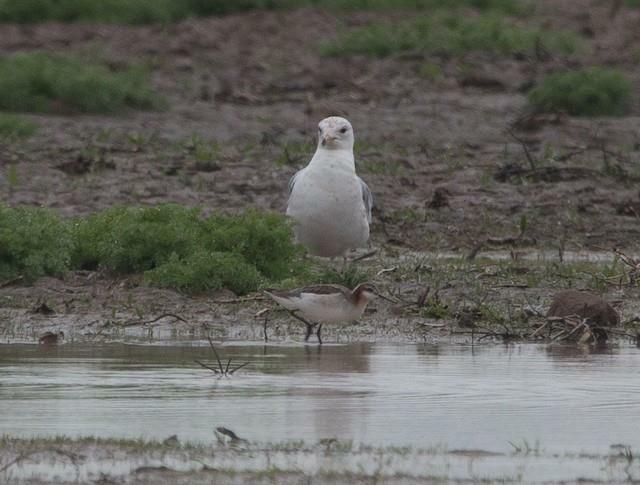 On the 22nd, rain and fog produced a fallout of shorebirds locally. Ryan Griffiths was fortunate enough to have time to check Lakeside Park in St. Catharines, Ont. 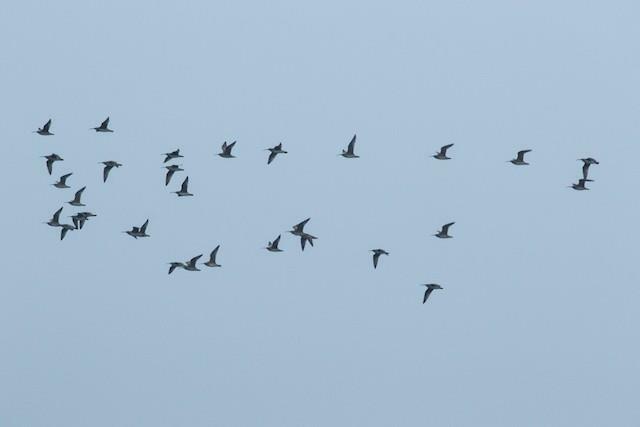 Here is one of the two flocks of Whimbrel he saw. Also on the 22nd, Ryan Griffiths had over 1000 Dunlin in the fallout conditions along Lake Ontario at St. Catharines, Ont. 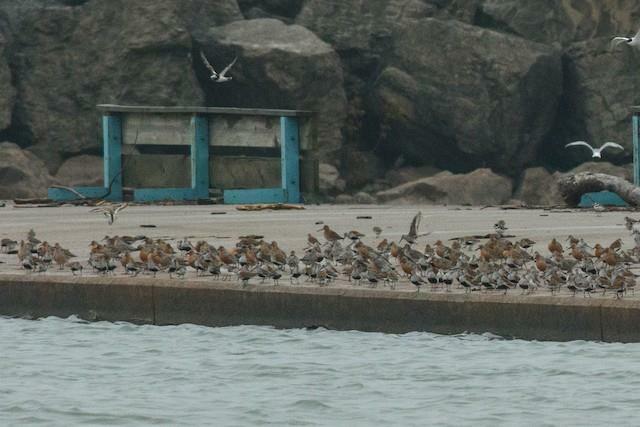 Griffiths also recorded 50 Red Knots on the 22nd at St. Catharines, Ontario. 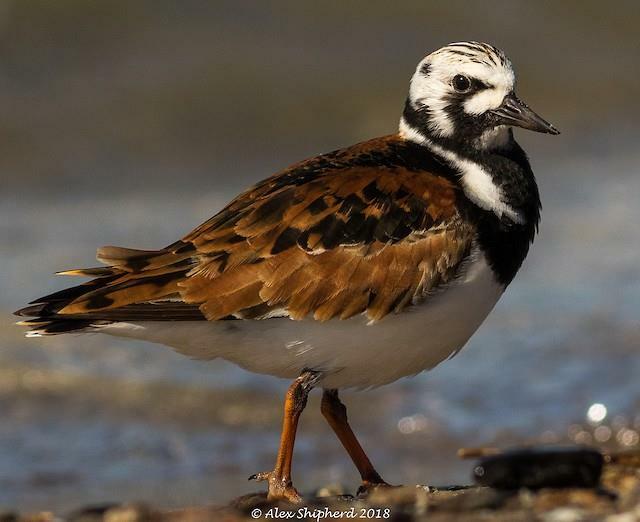 This species isn't often observed in spring in our region so it was a treat for Ryan to see these beautiful shorebirds which are in the company of Ruddy Turnstones and Dunlin in this image. 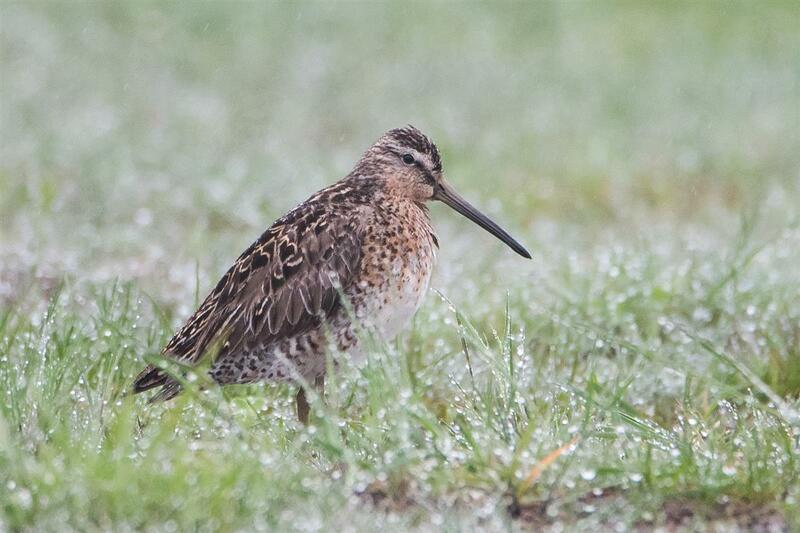 Another Short-billed Dowitcher visited Erie County at the Buffalo Outer Harbor. This guy was probably put down because of heavy fog on the 22nd. 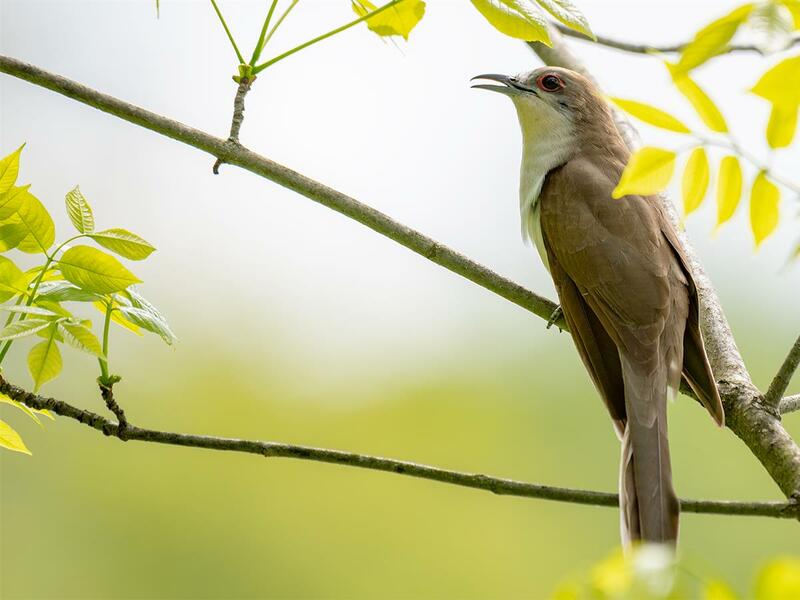 This Yellow-billed Cuckoo was very confiding on the 25th. It's not too often you see them sitting right out in the open! 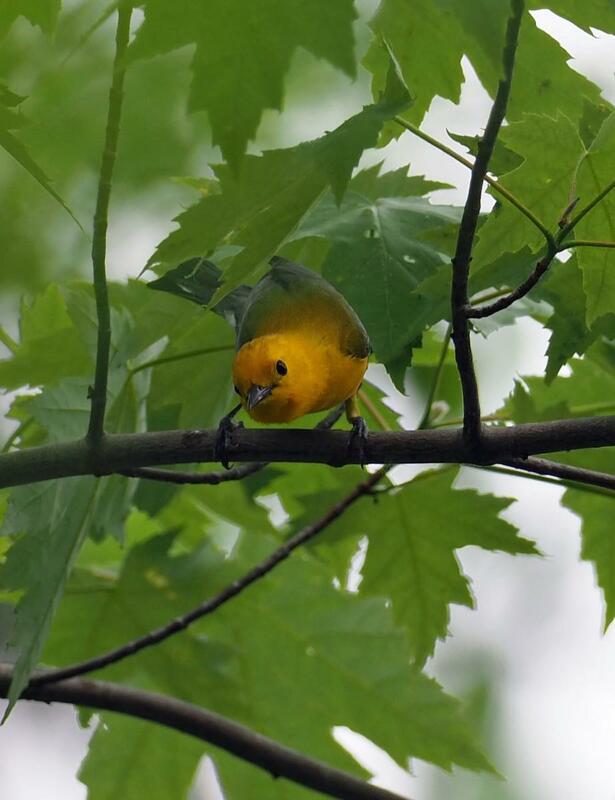 Celeste Morien took this photo of a Prothonotary Warbler on the 31st at Iroquois NWR. This is the only reliable location for this species in WNY and a nest box program is in place. 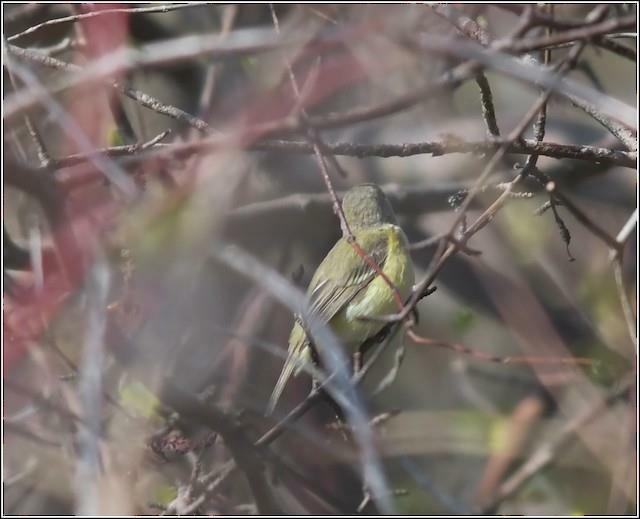 Joshua Vandermuelen found this BOS region first record at the east pier at Port Weller, St Catharines, Ontario on the 10th - Bell's Vireo! 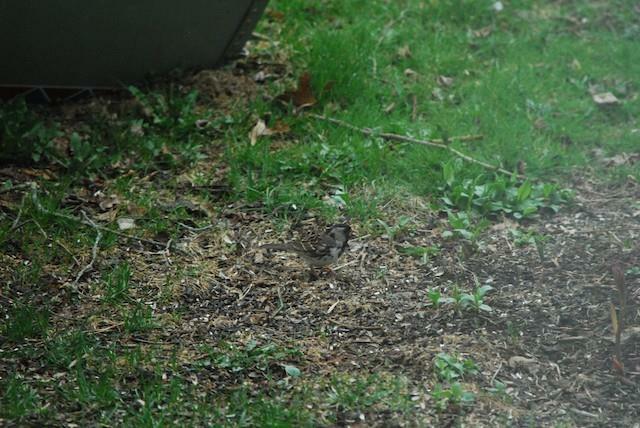 In Whitesville, NY, Allegany County, Ken Reichman discovered this Harris's Sparrow at his feeders in late April. It stayed for about a week and this photo was taken by Ken on the 3rd. 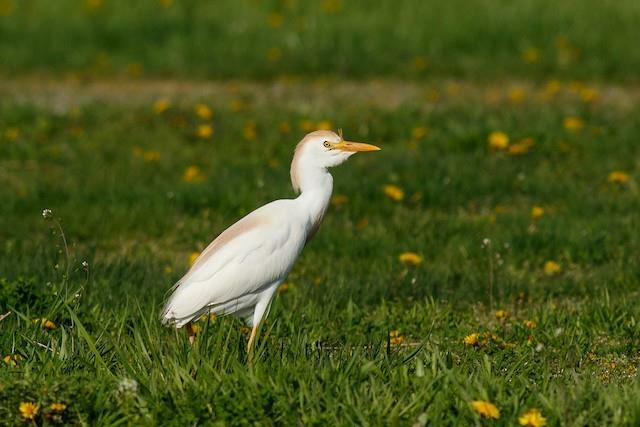 Philip Downey discovered this Cattle Egret at the Avondale Sewage Lagoons on the 9th. The bird stayed into the following day. Photo by Ryan Griffith on the 9th.